Linn and Hsi show how computers, teachers, and peers can serve as learning partners--helping students build on their ideas and become lifelong science learners. They invite everyone interested in improving science education to build on their experiences, share insights on the Internet, and create instruction. * features practical tools for learning and instruction, including "Points to Ponder"--to encourage reflection on the ideas in each chapter (partnership groups or classes might use the points as discussion starters or assignments), and "Ask Mr. K."--an interview, in each chapter, with the classroom teacher who was a founding member of the CLP partnership (in these interviews Mr. K. adds insights from his own classroom experiences). 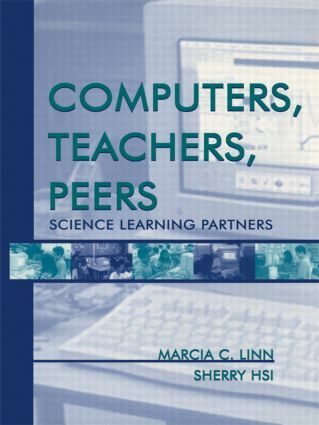 This book is supplemented by a CD-ROM (included in each copy) and a Web site (www.clp.berkeley.edu) with the Computers as Learning Partners curriculum, lesson plans, a Quicktime virtual reality visit to the classroom, copies of assessments, opportunities to join partnerships, and more. For readers who wish for more information, Related Readings are cited, including works by authors mentioned in each chapter. Additional works by other authors who inspired the authors appear in the bibliography, on the website, and on the CD-ROM. An annotated bibliography of papers by the members of the CLP partnership also appears at the website and on the CD-ROM. How Do Students Respond to Science Instruction?